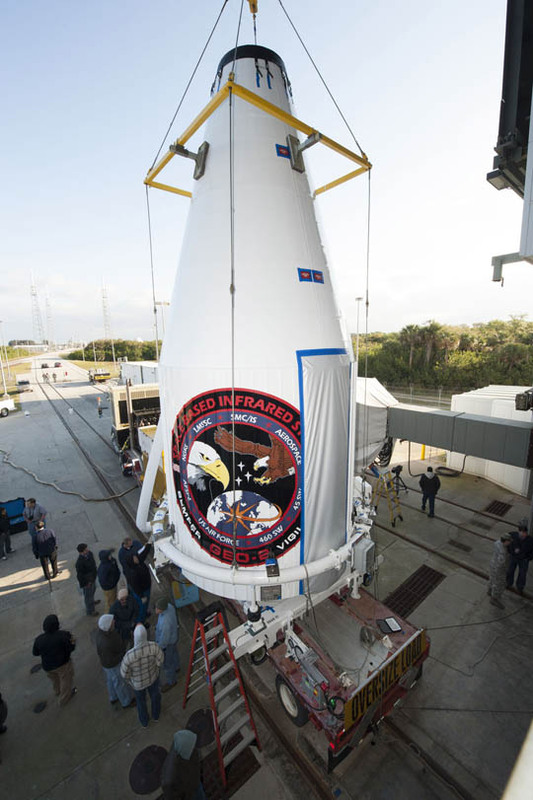 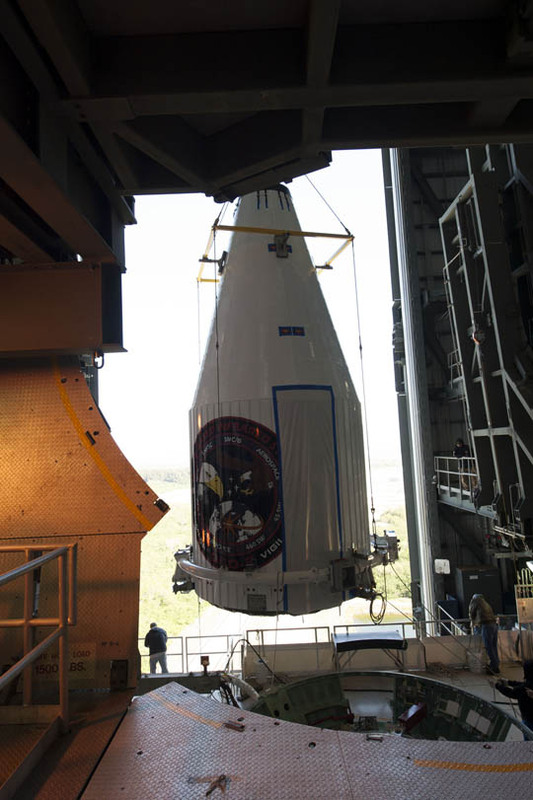 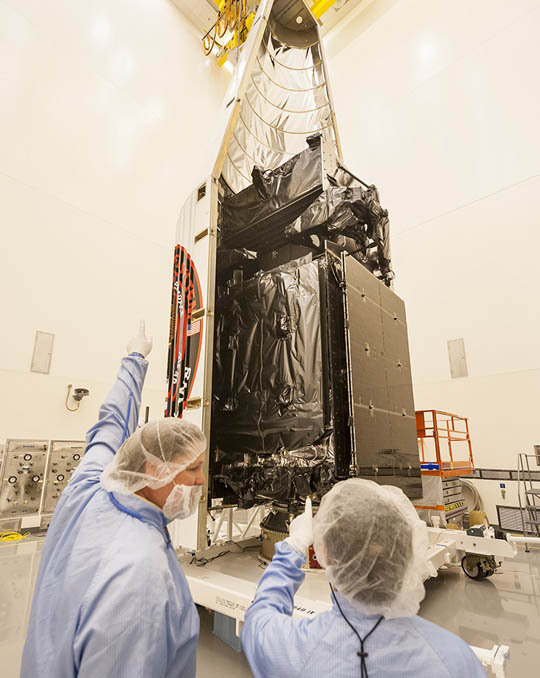 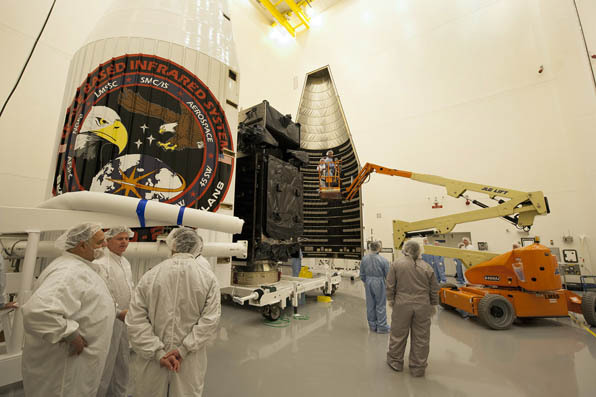 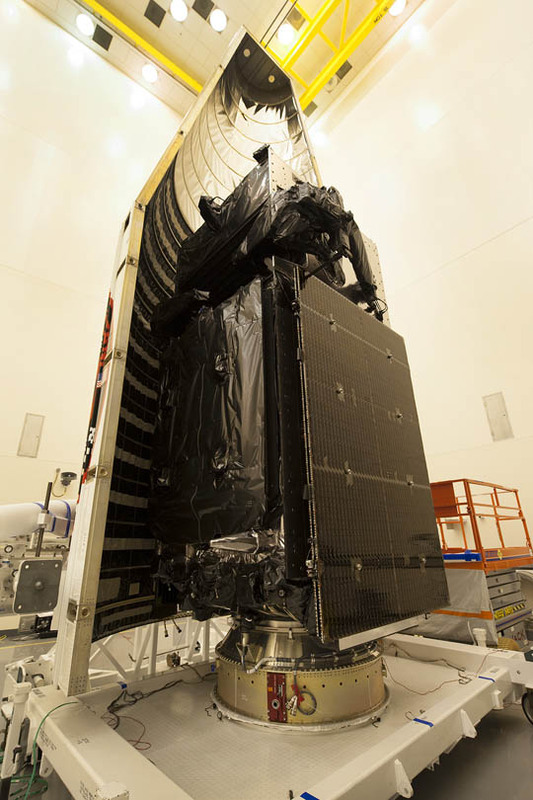 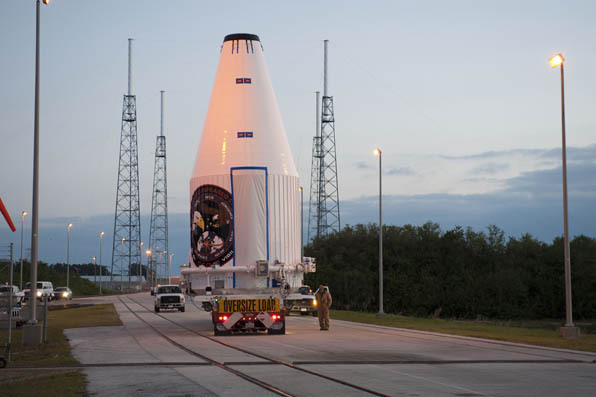 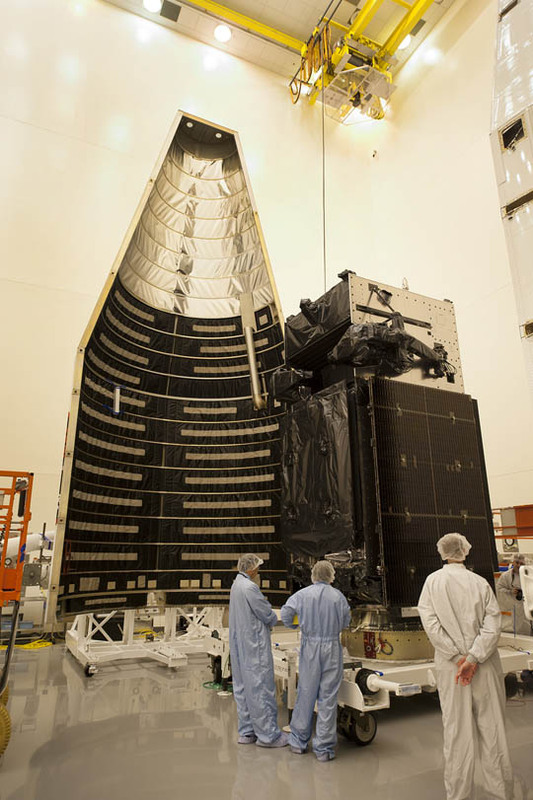 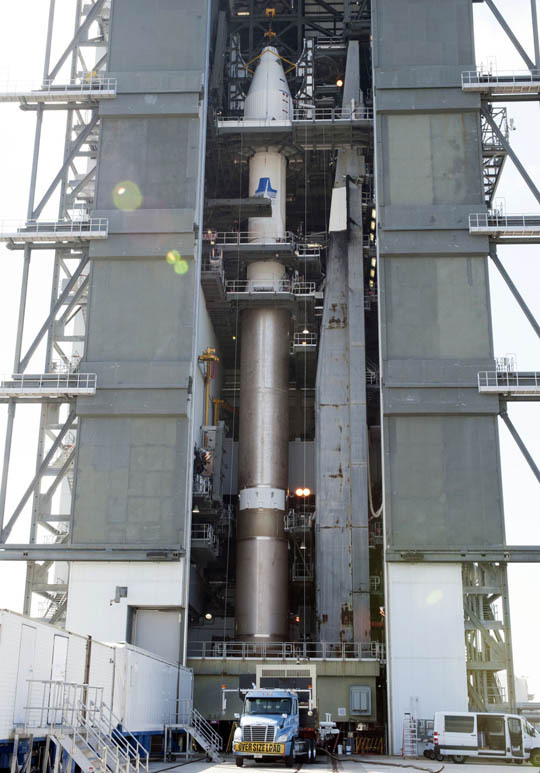 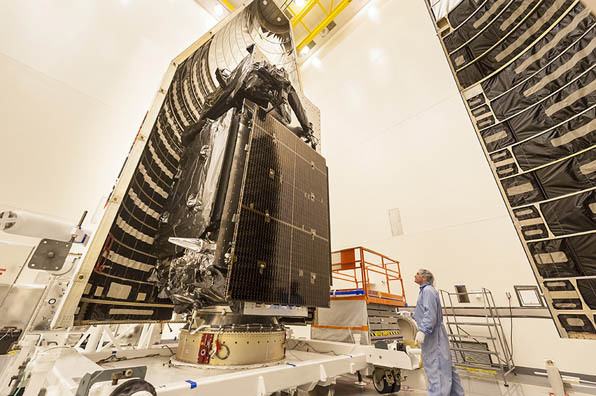 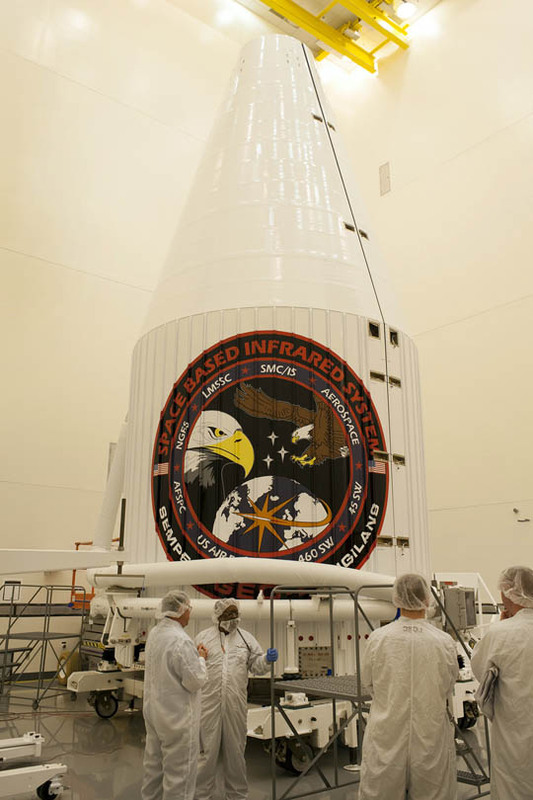 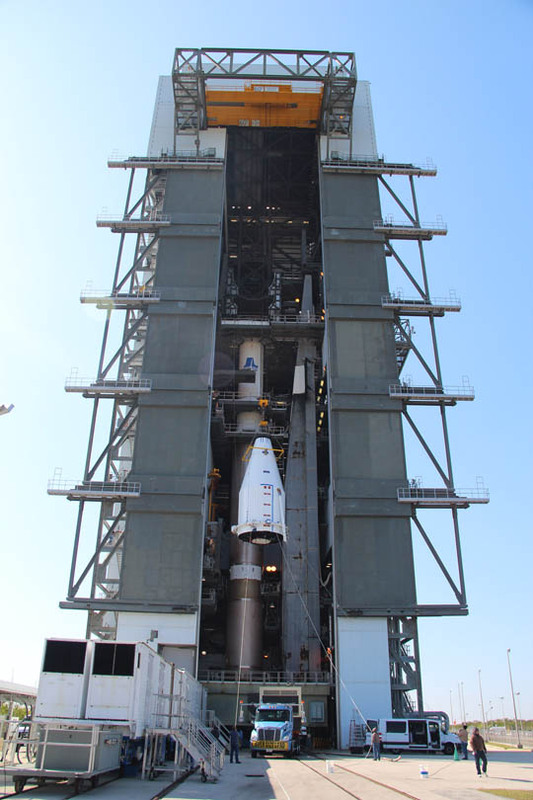 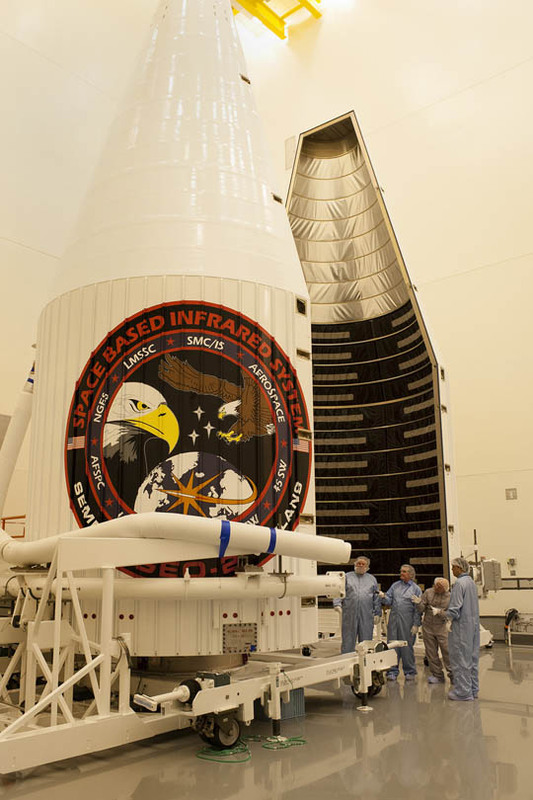 The second Space Based Infrared System Geosynchronous satellite, or SBIRS GEO 2, for the U.S. military's network of missile early-warning detection spacecraft undergoes final preparations for liftoff aboard the United Launch Alliance Atlas 5 rocket. 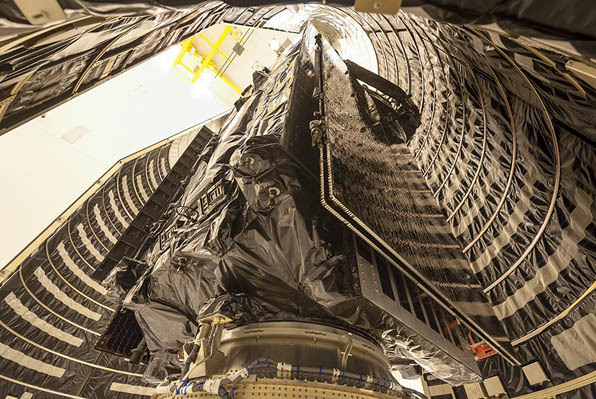 This gallery shows the 10,000-pound spacecraft being enclosed in the the launcher's aluminum nose cone, which stands 39 feet tall and 14 feet in diameter. 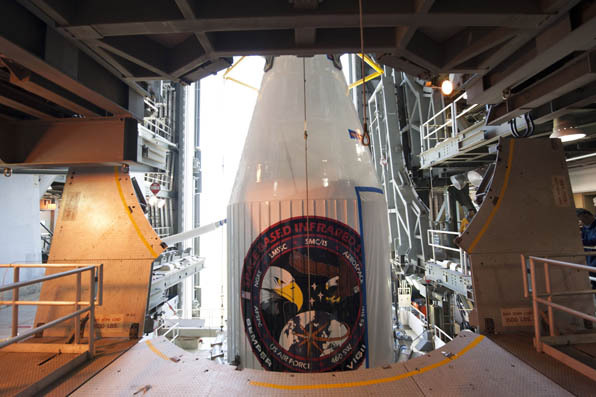 The encapsulated payload was hoisted atop the rocket in the Vertical Integration Facility to gives the Atlas 5 an overall height of 189 feet.